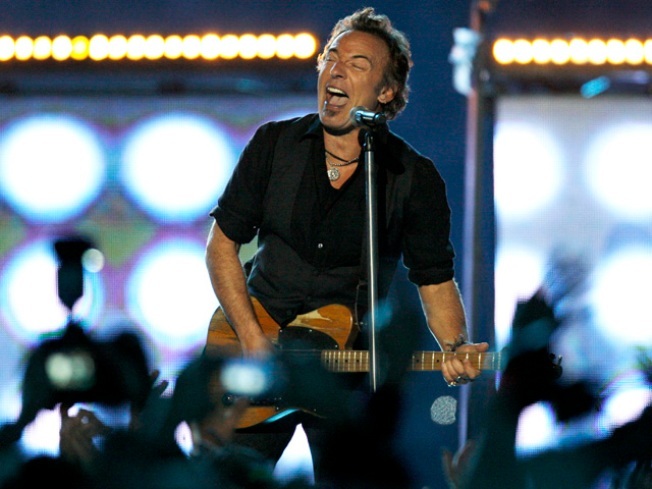 Bruce Springsteen belts out a song during his Super Bowl halftime performance. New Jersey's attorney general says Ticketmaster should stop steering consumers to a subsidiary offering more expensive concert tickets because it may violate state law. Attorney General Anne Milgram said Thursday that the New Jersey Division of Consumer Affairs received more than 1,000 complaints over Ticketmaster's handling of sales for Bruce Springsteen's upcoming concerts at the Meadowlands. Fans who couldn't get tickets through the main Ticketmaster Web site were directed to Ticketmaster subsidiary TicketsNow, which offered much more expensive tickets. Milgram said Ticketmaster's redirecting consumers to its Web site for reselling tickets may violate the state's consumer fraud act. On Wednesday, Ticketmaster CEO Irving Azoff apologized to Springsteen and his fans and said the company would no longer direct them to the TicketsNow subsidiary. Springsteen posted the apology on his personal website.